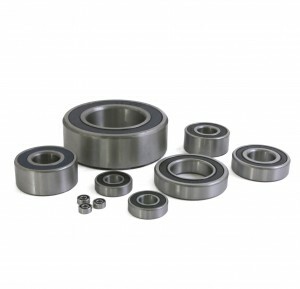 Only high-quality materials are used in our bearings. Manufactured in an ISO-9001 compliant facility, these bearings will offer high-precision and low noise. All bearings on this page are ABEC-1. Manufactured from the highest quality 52100 steel. All bearings come with two rubber seals (2RS) and/or metal shields (ZZ). Need something not listed? Just call, fax or email us!